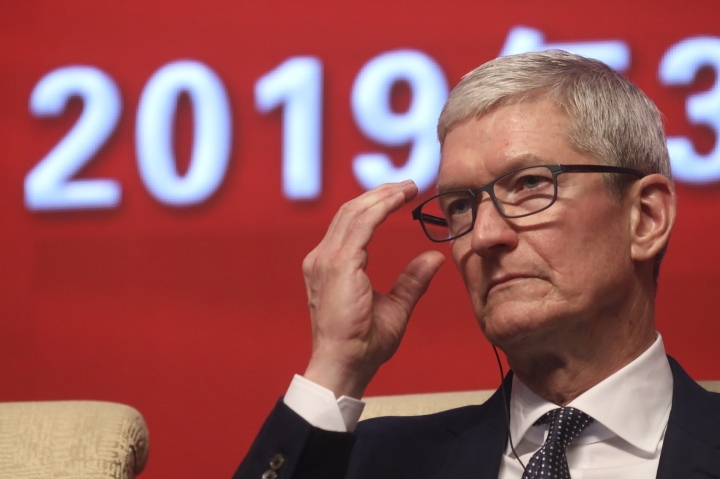 Speaking in Beijing, Apple CEO Tim Cook says he's "extremely bullish" about the global economy based on the amount of innovation being carried out and says its essential for China to continue to "open up." 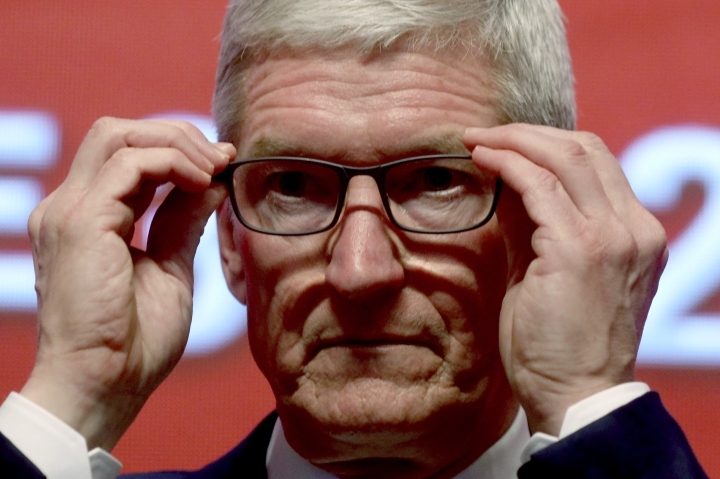 BEIJING — Apple CEO Tim Cook said Saturday that he is "extremely bullish" about the global economy based on the amount of innovation underway, and urged China to continue to "open up" amid complaints from the U.S. and others that it is shutting foreign firms out of key high-tech industries. 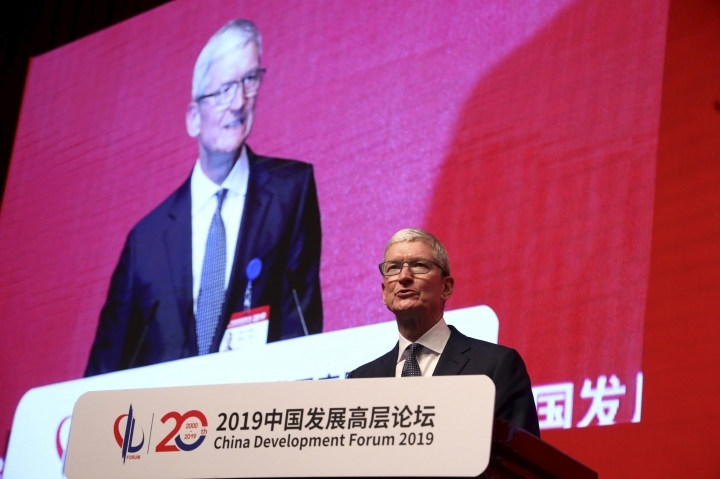 In a speech at an economic forum in Beijing, Cook said Apple is less concerned with the short-term economic outlook because the tech giant makes investments looking ahead years or decades. "In the long term, I'm extremely bullish. 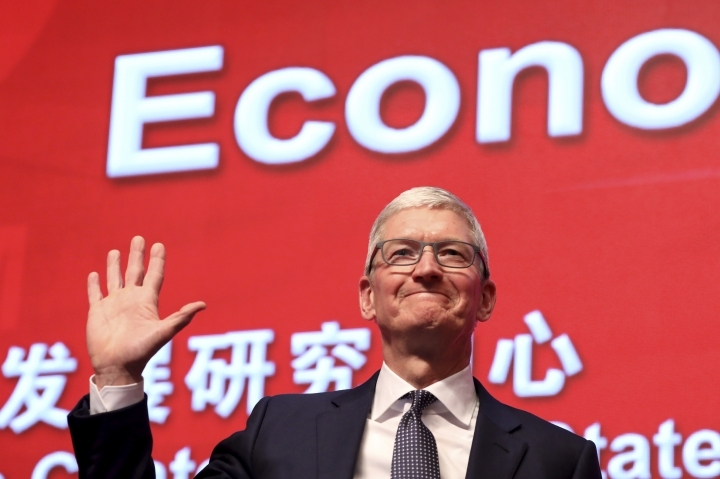 I think the key to the economy, unlocking its potential has always been innovation, and when I travel around the world, I've never seen innovation at a more feverish pace than I do today, so I'm extremely optimistic," Cook told participants at the China Development Forum, a gathering of business leaders in Beijing. 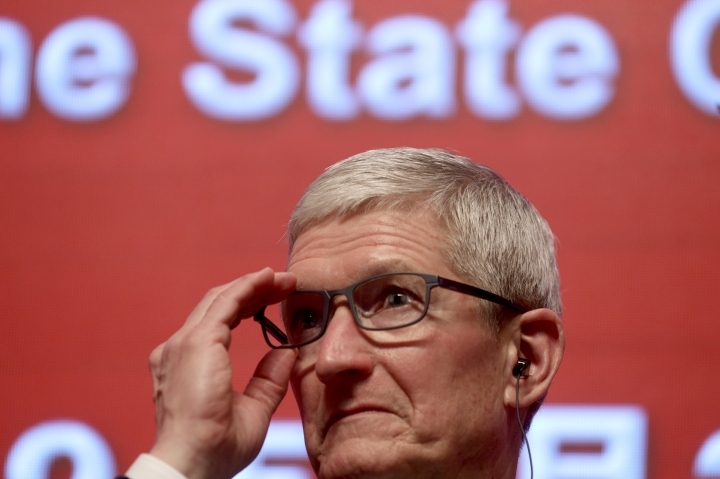 His remarks come as China and the U.S. prepare to meet again to resolve their trade dispute, which has roiled global markets, and as Apple is expected to announce that it is launching a video service. The iPhone has long been Apple's marquee product and main money maker, but sales are starting to decline. The company is pushing digital subscriptions as it searches for new growth. Apple is one of many American companies now grappling with increasing Chinese consumer anxiety. China is a major market for Apple and other smartphone makers, accounting for one-third of the industry's global handset shipments. In other comments, Cook said the world was "facing greater challenges than ever before." "Climate change is threatening our planet, poverty and inequality hold citizens and nations back from their potential, basic health care remains out of reach for millions," he said. "At the same time ... we can have a healthy planet and a thriving economy. We can continue to lift millions of people out of poverty, and we can give everyone a chance to learn and thrive. To fulfill this potential, we must all work hand in hand, government, academic institutions and businesses like Apple," Cook said.